Received this guitar today from Amazon and I have to say Im beyond pleased! Incredible sustain pinch harmonics practically play themselves and not to mention the finish is absolutely beautiful. Top that off with very high quality hardware and this guitars a deal that cant be beat. Ive owned and played on nearly every brand of guitar in the last 15 years and can honestly say that this hellraiser can easily compete with guitars well above its price range ($2,000-$2500). 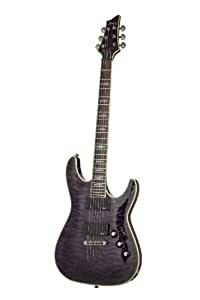 If you play metal this is the guitar to get!